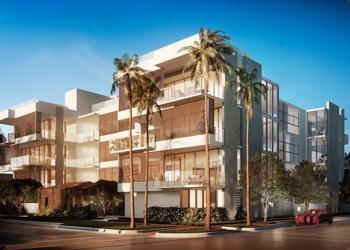 Developed by respected Mast Capital and with a clever Rene Gonzalez architectural design. Distinctly elegant and thoughtfully devised, the historically inspired louvered cottage shaped outdoor lobby is located on the site where the original structure stood followed by tropical gardens, reflective fountain and pools, a health club and a sunken courtyard by artist Michele Oka Doner. The all marble and louver rooftop terrace houses a 33 by 15 foot infinity edge pool with BBQ area, bar, lush landscaping and dramatic lighting all set within walking distance to ocean and marina plus some of the most chic renowned restaurants in South Beach. 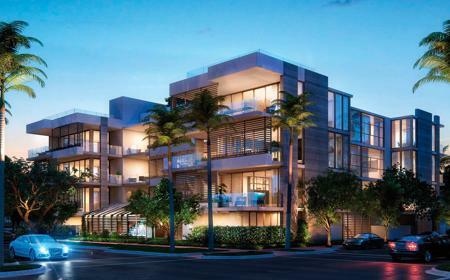 Louver House count with an exclusive South of Fifth location just steps from the beach. This spectacular address close to the marinas provide residents the luxurious convenience of having easy access to their private vessels, to chartering yachts and sailboats for a day of leisure. Just a few minutes’ walk from Louver House, South Pointe Park is a beautiful 17-acre waterfront green space where you will enjoy spectacular sunsets over the water and enjoy all the outdoor activities. 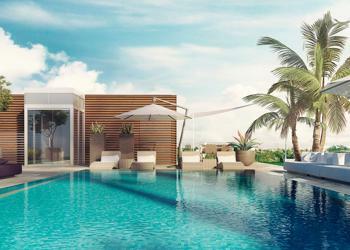 Also, Louver House is in the epicenter of the most exclusive restaurants in Miami Beach. Louver House is a casual avant-garde structure being the first of its kind and destined to be a legend in the already art deco historic district. 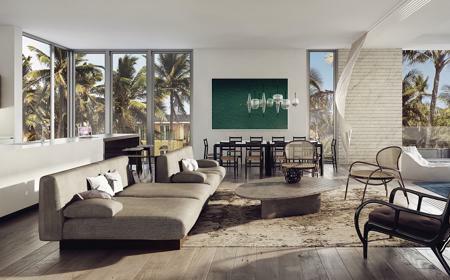 This residential masterpiece features only 12 spacious residences ranging from 2,008 to 2,432 square feet with private elevators, top of the line appliances and 13 feet deep balconies on selected units. The elite residents at this prime address will have the pleasure to enjoy: private high speed elevators, two secured covered parking spaces per condo, electric vehicle charging station in select locations and other unique services. 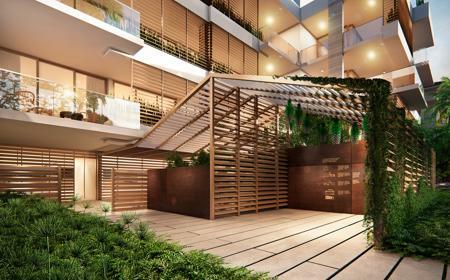 Louver House residences deliver an airy and contemporary environment and some of its most striking features include: 13 Ft. deep by 37 Ft. wide private terraces with glass railings on select units (up to 531 Sq. Ft. of outdoor living); spacious walk-in closets; smart-technology ready; 8 Ft. solid core doors; sound insulated walls throughout; flow-through open floor plans with 10 Ft. ceilings; full-sized, front-loaded washer and dryer in every residence; private rooftop terraces and spas for penthouse residences, and floor-to-ceiling energy efficient windows. The contemporary kitchens at Louver House condominium in South of Fifth feature sophisticated futures and fixtures including: Ornare Kitchen Cabinets with quartz countertops; Sub-Zero and Wolf appliances; and Electrolux washer and dryer. 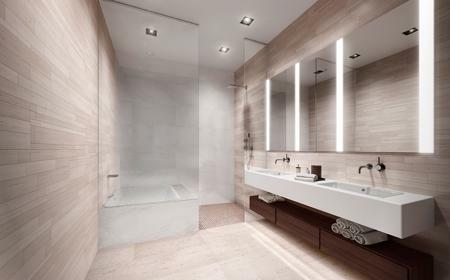 The elegant master bathrooms at this prestigious address also deliver incredibly stylish features like: High end designer bathroom fixtures; and elegant floating designed bathroom vanities with frameless, glass-enclosed showers.